MK&B is not divided into practice groups like traditional law firms, although the firm does have several generally recognizable practices in which it is engaged with its clients. These practices include secondary loan trading, claims trading, portfolio asset transactions, high-yield investments/equity trading and wealth management. Practices at MK&B are fluid, and all MK&B lawyers are involved in more than one of the firm's practices. Because MK&B makes the extra effort to know and understand its clients' businesses, and because providing responsive and committed service to its clients is the firm's paramount operating principle, MK&B's practices have developed organically. The firm has grown as its clients' activities have expanded. In addition, the diverse backgrounds of the lawyers who make up MK&B and the collegial and collaborative practice style that MK&B encourages of its lawyers enable the firm to respond quickly and effectively when clients move into new businesses. Because so much of MK&B's practice involves assets or transactions located outside the three jurisdictions in which the firm has offices, MK&B lawyers are particularly adept at working with local counsel and consulting available resources to become familiar with applicable local law, local customs and relevant political and economic conditions. When a client begins investing in a new market, MK&B lawyers often work with local legal and financial advisors in summarizing relevant law and business practices to enable the client to make informed decisions concerning investment strategies. Firm lawyers help clients understand all factors that might impact the clients' achievement of their investment goals. Jacqueline Allen is the head of MK&B's London office. Jacqueline's practice focuses on the secondary loan trading markets and providing advice on the legal issues relating to the purchase and sale of distressed assets. Jacqueline has been actively involved in the loan trading market since 1997 and has had extensive experience in various types of high-yield transactions throughout the world, including the purchase and sale of distressed and par loans, trade claims and loan restructurings. In addition, Jacqueline concentrates on representing banks, hedge funds and other financial institutions that purchase and sell distressed assets in emerging and established markets in Europe, Asia and Australia. Jacqueline started her legal career first at Norton Rose in both London and Paris and then at Allen & Overy LLP. Immediately prior to joining MK&B, Jacqueline was a vice president working on the distressed debt trading desk at Deutsche Bank AG, London. Iden Asl's practice focuses on the secondary loan trading markets and providing advice to banks, hedge funds and other financial institutions with respect to the legal issues relating to the purchase and sale of distressed assets. Prior to joining MK&B, Iden worked as an associate in the corporate department of Weil, Gotshal & Manges, where he predominantly advised on private equity transactions and corporate restructurings. Elizabeth Bilbao's practice focuses on the secondary loan trading markets and providing advice on the legal issues relating to the purchase and sale of distressed assets. In addition, Elizabeth concentrates on representing banks, hedge funds and other financial institutions that purchase and sell distressed assets in emerging and established markets in Europe and South America. Elizabeth started her legal career first at the Corporate Department of d'Empaire Reyna Bermdez in Caracas, Venezuela, and then at the Capital Markets Department of Simmons & Simmons in London. Immediately prior to joining MK&B, Elizabeth worked on the distressed debt trading desk at Citigroup in London. Tracy Brosnan is a managing partner of the firm. Her practice focuses on the structured dispositions of non-performing loans and other assets, private equity investments and the purchase and sale of U.S. and international distressed assets. Tracy has had extensive experience in various types of high-yield transactions throughout the world. Tracy also provides analysis and advice to banks, hedge funds and other financial institutions concerning bank credit agreements, security documents, intercreditor agreements and indentures. Prior to joining MK&B, Tracy was an associate in the corporate and banking departments of Schulte Roth & Zabel LLP and worked in the legal department of the Rockland County Department of Social Services. Spenta Cama's practice focuses on the secondary loan trading markets and providing advice to banks, hedge funds and other financial institutions on the legal issues relating to the purchase and sale of U.S. and international distressed assets. Prior to joining MK&B, Spenta was an associate for Condon Resnick, LLP practicing commercial litigation and was a national Equal Justice Works Fellow for Legal Momentum assisting domestic violence victims. Siu Lan Chan's practice focuses on the secondary loan trading markets and providing advice to banks, hedge funds and other financial institutions with respect to the legal issues relating to the purchase and sale of U.S. and international distressed assets, including trade claims and other claims against insolvent debtors. She has represented clients in transactions in North America, Europe, Asia and Australia. In addition, Siu Lan frequently provides analysis and advice relating to bankruptcy, insolvency and restructurings. Prior to joining MK&B, Siu Lan was a Complex Claims Director at AIG and an associate in the bankruptcy practice of Kronish Lieb Weiner & Hellman LLP. Prior to engaging in private practice, Siu Lan clerked for the Honorable Prudence Carter Beatty, United States Bankruptcy Judge sitting in the United States Bankruptcy Court for the Southern District of New York. Larry Codispoti is head of the firm's wealth management practice. Larry's practice focuses on sophisticated estate planning, business succession planning and estate and trust administration for high net worth individuals. Larry specializes in the use of various tax minimization and wealth preservation strategies customized to each client's unique circumstances. Larry also provides advice regarding the proper use of living wills/health care proxies and durable general powers of attorney as part of a comprehensive estate plan. Larry has been active in the estate planning and administration field since 1987. In addition to MK&B's wealth management practice, Larry also works in the secondary loan trading markets. He regularly advises banks, hedge funds and other financial institutions on the legal issues relating to the purchase and sale of distressed assets. Prior to joining MK&B, Larry was a partner at Coral, Ortenberg, Zeck & Codispoti, P.C. Gary Day's practice focuses on the secondary loan trading markets and providing advice to banks, hedge funds and other financial institutions on the legal issues relating to the purchase and sale of U.S. and international distressed assets, including trade claims. In addition, Gary provides analysis and advice to clients concerning bank credit agreements, security documents and other finance documents. Prior to joining MK&B, Gary was an associate in the corporate departments at Hunton & Williams and Epstein Becker & Green, P.C., where he worked on international and domestic leveraged leasing transactions and general corporate matters. Matt Epstein's practice focuses on the secondary loan trading markets and providing advice to banks, hedge funds and other financial institutions on the legal issues relating to the purchase and sale of U.S. and international distressed assets, including public and private debt and equity securities. In addition, Matt advises clients on securities law issues, private equity investments and commercial contracts. Prior to joining MK&B, Matt was a partner in Hogan & Hartson LLP's business and finance department, where he handled a variety of corporate and securities law matters. Joan Fong's practice focuses on the secondary loan trading markets and providing advice on the legal issues relating to the purchase and sale of U.S. and international distressed assets, including private debt securities, equity interests and portfolio auctions. Joan has had extensive experience in various types of high-yield transactions throughout the world. In addition, Joan provides analysis and advice to clients concerning bank credit agreements, security documents, structured finance documents, intercreditor arrangements and indentures. Joan also develops and advises her clients on a variety of derivative products relating to the hedging of risk, monetization of awards and financing of costs related to domestic and international litigation, arbitration and bankruptcy proceedings. Prior to joining MK&B, Joan was an associate at Shearman & Sterling LLP, where she worked on a variety of international and domestic project finance, syndicated loan and securities transactions. Sidney Friedman's practice focuses on the secondary loan trading markets and providing advice to banks, hedge funds and other financial institutions on the legal issues relating to the purchase and sale of U.S. and international distressed assets. Prior to joining MK&B, Sidney was an associate in the corporate department at Kramer Levin Naftalis & Frankel LLP. Tara Hannon's practice focuses on the secondary loan trading markets and providing advice to banks, hedge funds and other financial institutions with respect to the legal issues relating to the purchase and sale of U.S. and international distressed assets, including trade claims and other claims against insolvent debtors. In addition, Tara provides analysis and advice relating to bankruptcy, insolvency and restructurings. Prior to joining MK&B, Tara was a partner in the law firm of Esbin & Associates, where she began her practice in trading distressed assets, before which she engaged in over six years of bankruptcy practice at the law firms of Kronish Lieb Weiner & Hellman LLP and Robinson Silverman Pearce Aronson & Berman LLP. Kara Katz is a managing partner of the firm. Kara's practice focuses on the secondary loan trading markets and providing advice on the legal issues relating to the purchase and sale of U.S. and international distressed assets. Kara has been actively involved in the loan trading market since 1993 and has had extensive experience in various types of high-yield transactions throughout the world, including the purchase and sale of distressed and par loans, trade claims and loan restructurings. In addition, Kara concentrates on representing banks, hedge funds and other financial institutions that purchase and sell the debt of distressed and insolvent companies in emerging and established markets in North America, Europe, Asia, South America and Australia. Prior to joining MK&B, Kara was an associate in the corporate department at Paul, Weiss, Rifkind, Wharton & Garrison, LLP. Helen Lau's practice focuses on the secondary loan trading markets and the portfolio dispositions of non-performing loans and other distressed assets. Helen frequently provides analysis and advice to banks, hedge funds and other financial institutions with respect to the legal issues relating to the purchase and sale of U.S. and international distressed assets and concerning bank credit agreements, security documents, structured finance documents, intercreditor agreements, indentures and other sophisticated finance agreements. Prior to joining MK&B, Helen was a senior associate in the Singapore office of Pillsbury Winthrop LLP, where she worked on cross-border project finance, mergers and acquisitions and capital markets transactions. Helen also spent a number of years working as senior corporate counsel at Asia Pulp & Paper Company Ltd.
Anna Lee's practice focuses on the secondary loan trading markets and providing advice to banks, hedge funds and other financial institutions with respect to the legal issues relating to the purchase and sale of U.S. and international distressed assets, including trade claims and other claims against insolvent debtors. In addition, Anna frequently provides analysis and advice relating to bankruptcy, insolvency and restructurings. Prior to joining MK&B, Anna was an associate in the bankruptcy practice of Stroock & Stroock & Lavan. Prior to that, Anna was law clerk to the Honorable Howard C. Buschman at the United States Bankruptcy Court for the Southern District of New York. Ed Leen's practice focuses on the secondary loan trading markets and providing advice to banks, hedge funds and other financial institutions with respect to the legal issues relating to the sale and purchase of domestic and international distressed assets, including trade claims and other claims against insolvent debtors. In addition, Ed frequently provides analysis and advice relating to bankruptcy, insolvency and restructurings. Prior to joining MK&B, Ed was an associate in the Bankruptcy Practice of Kelley Drye & Warren LLP. In addition, from August 1997 to June 1999, Ed clerked for the Honorable Stan Bernstein, United States Bankruptcy Judge sitting in the United States Bankruptcy Court for the Eastern District of New York. John Mandler's practice focuses on the structured dispositions of non-performing loans and other distressed assets, private equity investments and the purchase and sale of distressed assets in North America, Asia, Europe, South America, Australia and Africa. John frequently provides detailed analysis to clients concerning sophisticated finance arrangements and assists clients with the purchase and sale of interests in aircraft, aircraft leases and loans secured by aircraft. In particular, John has been engaged actively in structured asset dispositions since 1994, helping to shape the asset sale market in many jurisdictions. He created in Korea models and documents for the sale of non-performing assets and public-private joint ventures in non-performing asset dispositions that now are used widely by Asian governmental agencies and financial institutions. Prior to joining MK&B, John was a partner in the Washington, D.C. office of Hughes Hubbard & Reed LLP, where he handled a broad array of real estate finance and general corporate matters and represented clients in major workout and restructuring transactions. Andrew Nave's practice focuses on the secondary loan trading markets and providing advice to banks, hedge funds and other financial institutions with respect to the legal issues relating to the purchase and sale of distressed assets. In addition, Andrew frequently provides analysis and advice relating to all aspects of insolvency law, including corporate insolvency and restructurings. 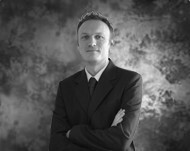 Prior to joining MK&B, Andrew worked as an associate in the dispute resolution department of Aitken Walker & Strachan in Melbourne, Australia, where he specialized in insolvency law. Kristen Policastro's practice focuses on the secondary loan trading markets and providing advice to banks, hedge funds and other financial institutions on the legal issues relating to the purchase and sale of U.S. and international distressed assets. Prior to joining MK&B, Kristen practiced litigation as an associate at Hammill, O'Brien, Croutier, Dempsey & Pender, P.C., and Ahmuty, Demers & McManus. Allison Reich's practice focuses on the secondary loan trading markets and providing advice to banks, hedge funds and other financial institutions on the legal issues relating to the purchase and sale of U.S. and international distressed assets, including trade claims, private debt securities and equity interests. In addition, Allison provides analysis and advice to clients concerning bank credit agreements, security documents and other finance documents. Prior to joining MK&B, Allison was an associate in the corporate department at Kelley Drye & Warren LLP. Constance Seow's practice focuses on the secondary loan trading markets in the purchase and sale of international distressed assets, private equity investments and structured dispositions of non-performing loans and other assets. In particular, Constance represents banks, hedge funds and other financial institutions that purchase and sell debt, trade claims, equity and other assets (including a golf resort) of distressed and insolvent companies in emerging and established markets in Asia, Europe, Australia and North America. Constance also provides analysis and advice to banks, hedge funds and other financial institutions concerning credit agreements, security documents, intercreditor agreements and other finance documents. Prior to joining MK&B, Constance was an associate in the corporate banking department at Tan JinHwee, Eunice & Lim ChooEng. Ceiriog Smith's practice focuses on the secondary loan trading markets and providing advice to banks, hedge funds and other financial institutions with respect to the legal issues relating to the purchase and sale of distressed assets. Prior to joining MK&B, Ceiriog worked on secondment within Bank of America Merrill Lynch's EMEA Sourcing Team and Legal Department, and in-house as a Senior Associate within NewGalexy Services Limited's Commercial Contracts Department. He qualified as solicitor in Scotland at Anderson Strathern LLP. Michael Tully's practice focuses on the secondary loan trading markets and providing advice to banks, hedge funds and other financial institutions on the legal issues relating to the purchase and sale of U.S. and international distressed assets. Prior to joining MK&B, Michael was an associate in the corporate department of Cole, Schotz, Meisel, Forman & Leonard. Aron Weber's practice focuses on the secondary loan trading markets and providing advice on the legal issues relating to the purchase and sale of U.S. and international par and distressed assets, including private debt securities and equity interests. Aron has significant experience advising clients in their purchase and sale of loans secured by real estate and aircraft and in their disposition and management of the underlying security. In addition, Aron provides analysis and advice to clients concerning bank credit agreements, security documents, structured finance documents and indentures. Aron also develops and advises his clients on a variety of derivative products relating to the hedging of risk, monetization of awards and financing of costs related to domestic and international litigation, arbitration and bankruptcy proceedings. Prior to joining MK&B, Aron was an associate at Sonnenschein Nath & Rosenthal LLP, where he worked on a broad array of real estate finance and lease transactions. Jonathan Weiser's practice focuses on the secondary loan trading markets and providing advice to banks, hedge funds and other financial institutions on the legal issues relating to the purchase and sale of U.S. and international distressed assets. Prior to joining MK&B, Jonathan was an associate in the business transactions group of Morris, James, Hitchens & Williams in Wilmington, Delaware, and a litigation associate at Carmody & Torrance in Waterbury, Connecticut.